You must make reservations at least 5 minutes in advance of the time at Shoemaker's Grille. 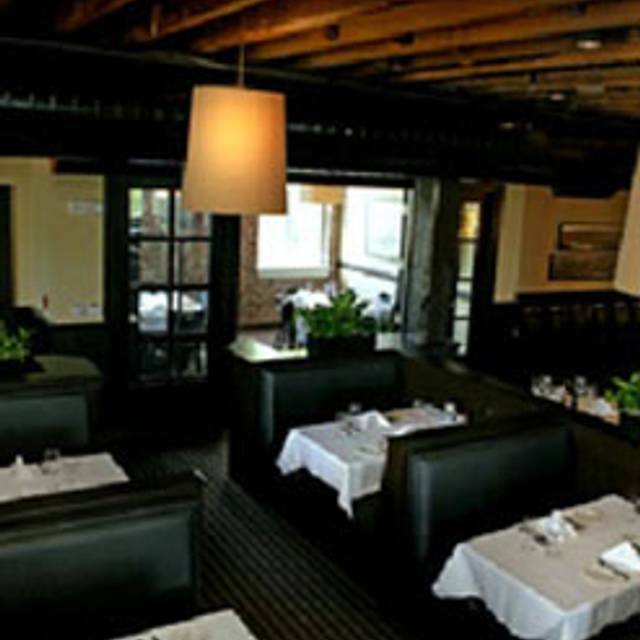 Shoemakers American Grille, located in Lynchburg, Virginia, serves a menu full of fine American cuisine. The restaurant aims to provide an enjoyable fine-dining experience and has a large patio in addition to its elegant dining room. 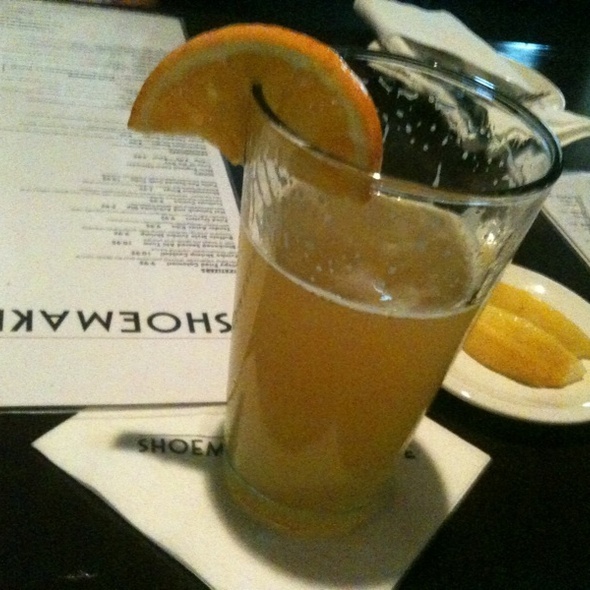 Shoemaker's Grille has a full bar which features wine by the glass and bottle in addition to domestic and imported beer and spirits. 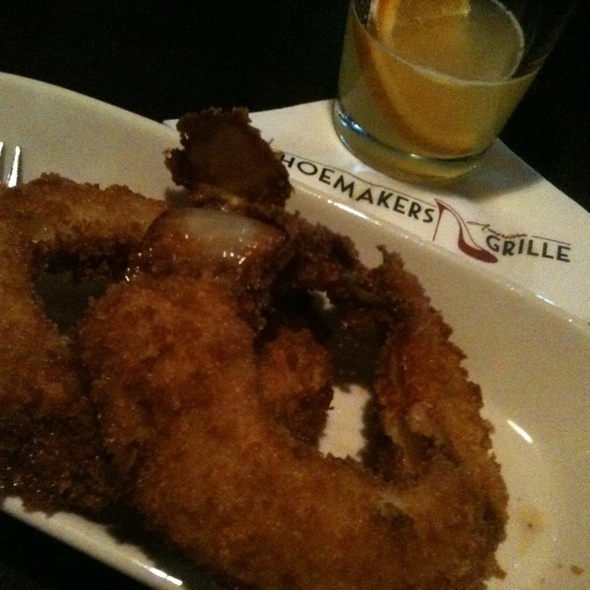 Start out with an appetizer to share at Shoemakers Grille such as the onion rings with spicy ketchup or the blackened seared ahi tuna. Choose from dinner entrées like the filet mignon, the double breast of roasted chicken or the blackened grilled salmon filet. For vegetarians, try the personalized vegetable plate. with fried peppadew peppers, shaved pecorino cheese and lemon aioli. with a sweet soy glaze, wasabi and fresh ginger. 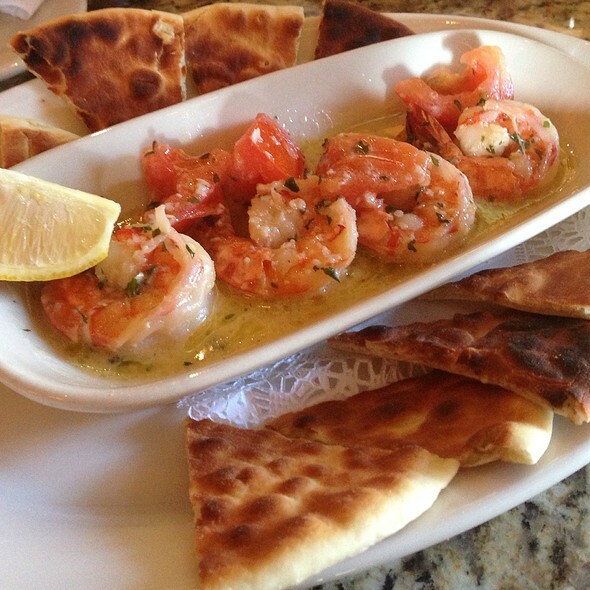 Jumbo shrimp tossed in a garlic citrus sauce with Roma tomatoes. Served with a corn and spinach succotash and chipotle aioli. Tossed in a tangy buffalo sauce with Gorgonzola dressing. Buttermilk battered, panko crusted, thick-cut onion rings. 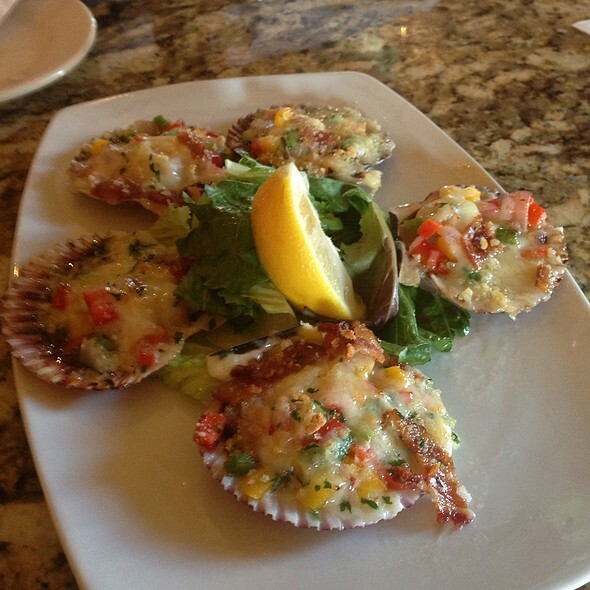 Served on the half shell, broiled and topped with bacon, onion and tri-colored peppers. Finished with panko and parmesan cheese. Silver Dollar mushrooms stuffed with goat cheese, Virginia country ham and fine herbs. Dusted with panko and served on mixed greens with a spicy remoulade sauce. 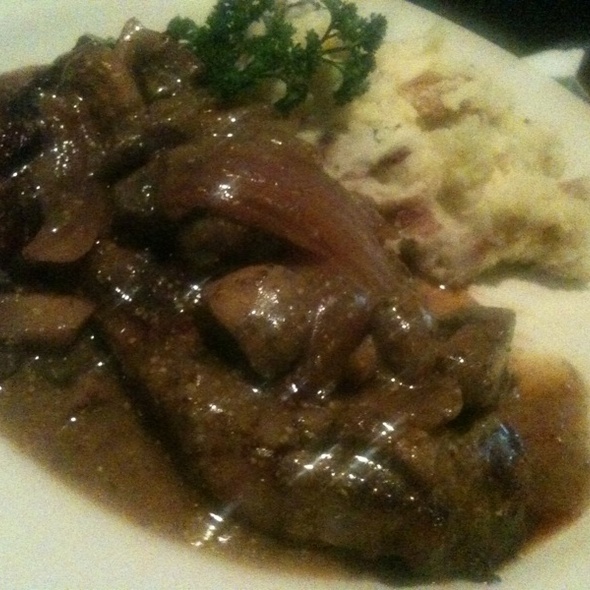 Escargot sautéed with button mushrooms in a cognac, garlic and herb sauce. Chef's selection of four cheeses with tomato chutney, fresh berries and herbed toast points. A 14 oz. cut, sliced and served with your choice of béarnaise, peppercorn or fromage sauce. An 8 oz. cut, grilled to order. A 16 oz. cut, grilled to order. Berbere spiced, pan roasted, double breast of chicken topped with a tomato and fennel sauce, served with asparagus risotto. Add a Garden or Caesar Salad for $3.50. Lightly blackened, grilled salmon filet with a sweet corn hash and a Cajun Cream sauce. Seared rare with fried zucchini, wasabi and sweet soy drizzle. Oven roasted with asparagus risotto and a tomato and onion relish. Served with a spicy remoulade, housemade cole slaw and sweet potato fries. Green lipped mussels, jumbo shrimp and sea scallops sautéed in a spicy tomato and garlic broth over linguini. Wedge of baby iceberg with tomato, bacon, red onion, bleu cheese crumbles and housemade Gorgonzola dressing. Hearts of romaine with pecorino cheese and challah croutons. Served with white anchovies. with mushrooms, tomato, egg and bacon and a warm tangy vinaigrette. Chopped mixed greens with grilled corn, tomato, bacon and bleu cheese crumbles and a tangy herb vinaigrette. Fresh tomato, mozzarella, basil and roasted red peppers, drizzled with a balsamic reduction and shaved pecorino cheese. Add any of these items to the salad of your choice. Served with Shoemakers sweet potato fries. An 8 oz. Black Angus burger, lettuce, tomato, red onion and served with our secret sauce. An 8oz. Black Angus burger, Vermont cheddar cheese and crispy bacon, lettuce, tomato, red onion and served with our secret sauce. Served with garlic and chive mashed potatoes. Add a Garden or Caesar Salad for $3.50. 8 oz. Filet Mignon, grilled to order and paired with a 4 oz. signature crab cake. 8 oz. Filet Mignon, grilled to order and paired with 2 jumbo, Cajun grilled shrimp. 8 oz. Kona Coffee rubbed Filet Mignon, grilled to order and topped with a bleu cheese, "Fromage" sauce. Served with grilled asparagus. 12 oz. New York Strip, grilled to order and topped with a green peppercorn and cognac sauce. with a thick graham cracker crust and fresh whipped cream. A Shoemakers original. Made with orange zest and a pecan graham cracker crust. A dark chocolate cake with a Belgium chocolate layering and topped with fresh whipped cream. Vanilla bean custard with caramelized sugar and fresh whipped cream and berries. Häagen-Dazs chocolate, vanilla and strawberry ice cream. Molten chocolate chip cookie topped with Häagen-Dazs vanilla ice cream, chocolate sauce and pecans. Chef's selection of 4 cheeses with tomato chutney, fresh berries and herbed toast points. Delicious food, excellent service, great ambiance! Our server, Christian, was outstanding. He was professional, attentive, courteous, knowledgable. And eager to please our table. He is a definite asset to Shoemakers. Food and atmosphere were excellent. Went there to celebrate our 50th wedding anniversary. Waiter was so nice. From appetizer to dessert . Everything was very good. Only thing that was a negative was very pricey cocktails and glasses of wine. Not worth the prices. DELICIOUS and outstanding ambiance and service. We loved it! Excellent food! Friendly servers! Would go back again in a heartbeat. Great setting . Perfect in every way. Better scallops than in Digby! Rockfish superb. Outstanding wine selection. Chef accommodated my dietary needs. We will be hosting my sons rehearsal dinner here soon. Thank you for a wonderful experience. We had a great time. The dry rubbed aged steak was a little too dry for our liking, but the rest of the food was incredible. The filet mignon with the bleu cheese sauce was the best I’ve ever had. Staff was so incredibly friendly. Everybody was always checking to make sure things were okay. This was our first time here and we will absolutely be back! I’ve already recommended it to everybody! Best dining in Lynchburg. The food was excellent with the service being over the top. We were celebrating a birthday and Shoemakers made it an evening that will be remembered for a long, long time. to medium filet mignon should not cost 40 dollars plus. Just saying. The staff Max, Nicole and Shante were attentive but not intrusive. The food was good and fresh. And the kitchen was accommodating to slight changes to presentation of the food. Absolutely wonderful fine dining experience! We are out of towners so I googled restaurants and Shoemakers popped up so I made online reservation. We arrived and were welcomed by friendly staff. Our server was also very friendly and knowledgeable about the menu. All the food was beautifully prepared and the dishes were full of flavor. We had it all lol appetizers, salad, entrees, dessert and coffee. We'll definitely come back when we're in town! 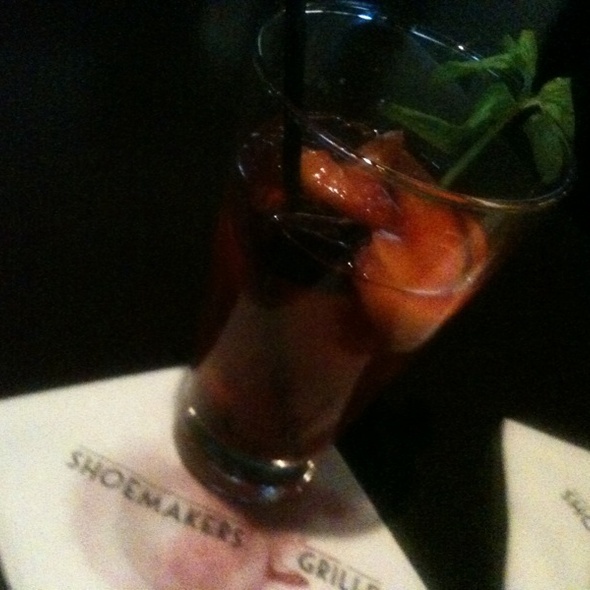 Thank you, Shoemaker's ! The restaurant itself was ok, drinks were good but some of the appetizers (casino scallaps) and salads (caprese) we enjoy were not available. The substitutes were not very good (scallaps and other salads). 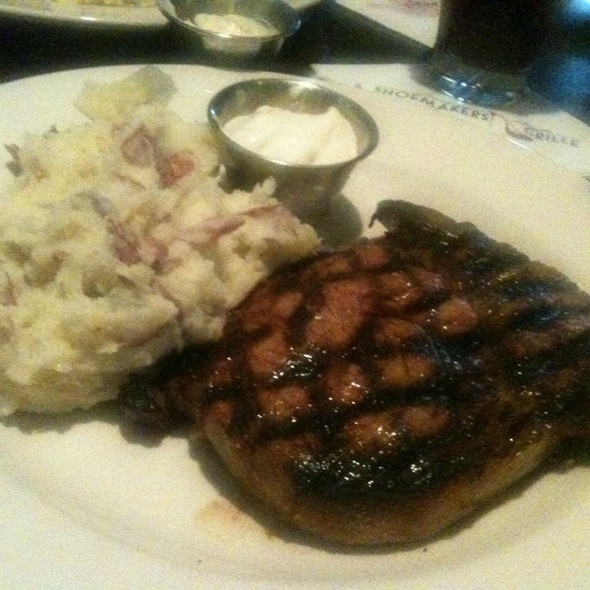 The special steak was tough and had no flavor, the sauce we like Heinz 57 and the potatoes with it were terrible. Suffice it to say, I new chef is desperately needed!! Chef Jason has taken this historic establishment to new and unprecedented levels. My family and friends all look forward to the continual growth of success that he and his new team will have. Our frequency rate of visits will exponentially increase now that we can trust the quality of excellence, both in food and also in service. Great decision, CT Hotel!!! Shoemakers has long been a favorite of mine and my friends so it is with a heavy heart that I write this less than glowing review. From my understanding it has recently come under new management and a new chef, and while I am open to new changes, I do not welcome changes that lower the dining experience. We ordered the stuffed mushrooms that are my favorite and the mushrooms arrived, less in quantity and quality. They were similar but different in all the bad ways (less butter, less taste to them, and less few them). My friend ordered the crab cake dinner, which came with A crab cake (not the 2 she has received in the past with the dinner) and I ordered the filet which was decent but the historically amazing mash potatoes that come with it were not so amazing. We finished with a piece of chocolate cake and it too was similar to what we've had in the past, but not nearly as good as earlier versions. I love Shoemakers and hopefully they will return to the amazing quality that they are known for with some fun new aditions. Food is good. Service is excellent. I felt like the cost of the food should have resulted in higher quality food. For instance we paid for a scallop appetizer. They had clearly been split in half and so 2 scallops were served as 4. That was disappointing. All six of us had fabulous meals. The Ahi tuna was cooked to perfection, the calamari was some of the best we’ve ever had, and the chocolate martini was the perfect way to end the meal. Wonderful service. Excellent meal !! from apps to the best Filet Mignon to desert !! The steak was A+, one of my best ever !! 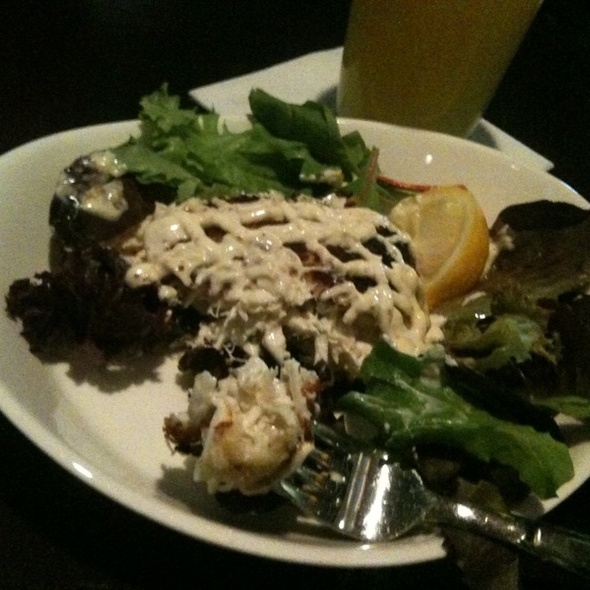 We had the blackened tuna, roasted rockfish and spring salad. It was the best dinner from Shoemaker’s that we’ve ever eaten. The tuna was perfectly cooked and the flavors of the rockfish with mushroom risotto were delicious. I definitely recommend going there! Good experience. We had filet and NY Strip....cooked perfectly at med rare.. Food was very good. Waiter could have used more training. After describing the nightly specials, asked what was diff between NY Strip he described vs what was on menu...description identical, except 'special' was $8 more. After fumbling over words he finally got to point that the special was a 'Prime' cut vs 'Choice' on menu. Also had to ask twice to refill water. And if he said 'absolutely' once, he said it 30 times....seemed to be his new word of the week. He was young and tried so hard to be suave, cool, and experienced....clearly out of his comfort zone. Mgmt should be watching and listening to their wait staff and hone their skills better for being a top rated restaurant. Else, good overall experience. Would recommend. We really enjoyed the seafood gumbo, fried oysters, rockfish, and yummy lemon tart! I also ordered a lemon martini to my specifications and it was perfect. The coffee came in a coffee press and was fabulous. Nice dining room to have a conversation in. Don’t miss the chance to go here! Excellent food and service. Definitely going back! This is my favorite place to dine when I am in the Lynchburg area! Love the food!! Shoemakers recently switched chefs and management companies in January. There was a noticable difference in staff training and with the food itself. The food was ok but not as good as past experiences. The entrees were staggered 10-15 minutes so my wife was finishing her meal when I began to eat. When the food was taken away to be boxed, the waitress stacked the plates so the bottom of one plate was touching my food. Her finger was also touching my food as she walked away. Several other tables around had issues as well. One table left without eating and said they were waiting over an hour for their food. I also overheard one of the waiters telling a table the deserts have gone downhill. Overall we were disappointed. Once again Shoemakers delivered. Delicious steak, great service, and the perfect atmosphere. Thank you for a wonderful evening. the ambience was perfect for our early valentine's dinner. our server, Jessica, was very friendly and attentive. she made sure I got exactly what I wanted and answered my questions very well. her recommendations and menu knowledge were great! the manager even stopped by to ask how dinner was. we ordered the meat and cheese board which had a great selection and wine. he ordered the filet medium which was cooked perfectly. I ordered the new York strip au poirve medium rare, so tender. we got vegetables. we had creme brulee for dessert. it was perfectly done, nice crisp top. the only odd thing was when we approached the host, she asked "how can I help you?" i thought that was a weird greeting, but it was fine. We've had a bit of a love hate relationship with Shoemakers over the last year or two. It was awesome, then not so much, but we wanted love it so gave it a another try this past weekend for an early Valentine's Day. Glad to report that they have parted ways with the Parry Restaurant Group, who seemed to be funneling their top talent over to the new Parry steakhouse in town, the William & Henry. We were told Shoemakers is on their 4th Chief in the past year.....Now Shoemakers is owned by the Craddock Terry Hotel and things are back where they should be. Steak was delicious and properly cooked, crab cake was amazing, service was top notch, only knock was brussel sprouts were "flash fried", ie. under cooked and hard. All and all, glad to see Shoemakers back on the right track. My wife and I go every year for her birthday, because it's a special place. This year my steak was ful of grissel, and over cooked. She had the Crab cakes, they were nasty no spices just a raw fishy taste. The spring salad we ordered was old and no flavor. But the worst was was the fork mashed potato's were nothing but boiled old potato's scraped out of the skin, and it tastse like it. Waitress said they had new chefs. Hint: BAD MOVE Hire someone that cares about the food not cutting corners to incress profit. Sorry but next year our celebration will relocate. It wasn't the price, or the service, it was your BAD FOOD.........and limited menu selection. Food was great, service great. Prices seemed very high. Glass of wine $20, mixed drinks $12-24. Overall satisfied, but there are other places in Lynchburg that offer better value for your money. Went for a celebration. Food was good. Service was ridiculously slow. Valet disappeared so I paid to have to retrieve my own car. Very disappointed. I have an allergy and the kitchen worked with me and prepared an amazing dinner. Amazing! Great food and wonderful service! The manager Nathan was fantastic. Very professional and helpful. Food was excellent. Went for anniversary last Saturday night. Food, service and experience was great as always! We ordered the prime rib special. The meat was very good but was not very hot when it was served to us.